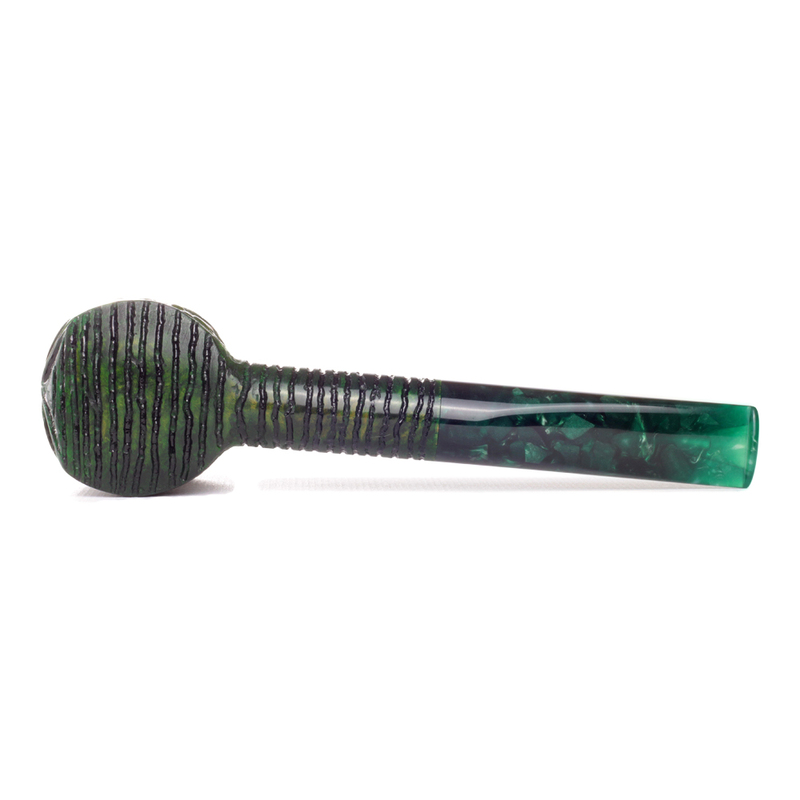 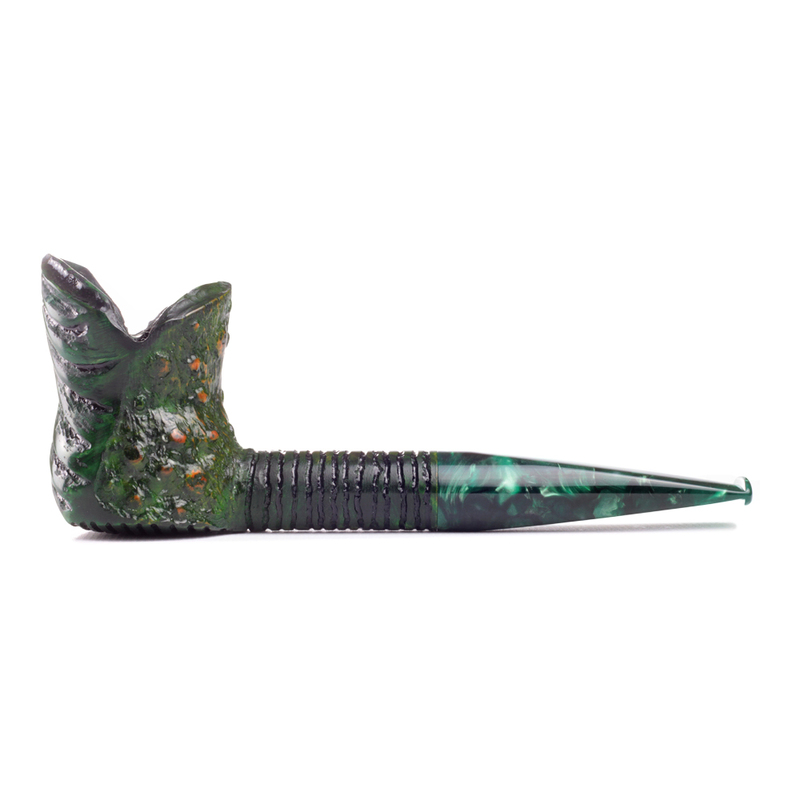 Cast in shades of green and with the shank extending to a glittering green stem, denizens of Innsmouth or Louisiana’s swamps will equally be at home with its aquatic tones. 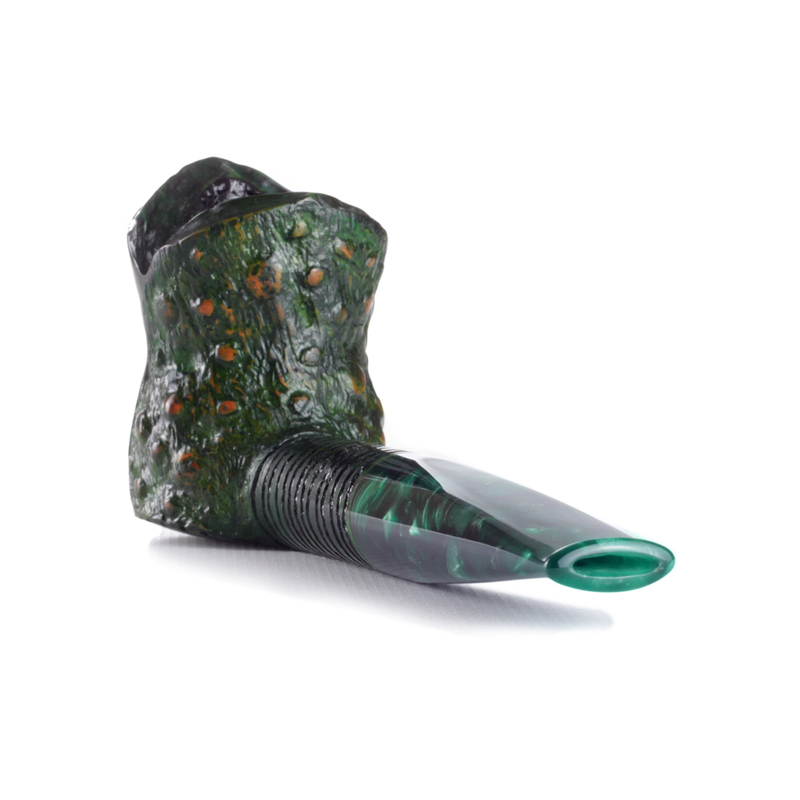 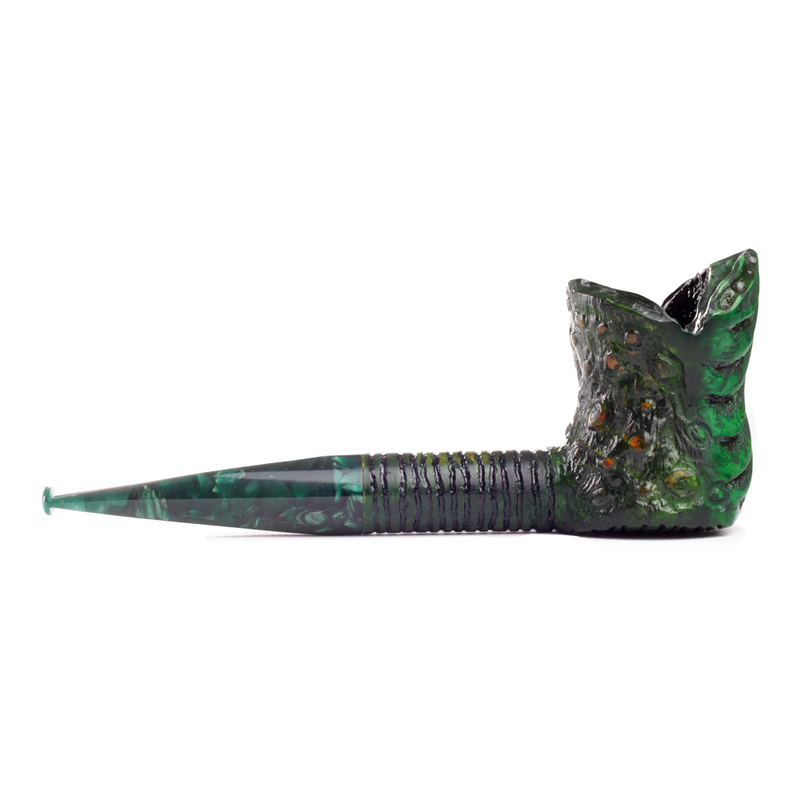 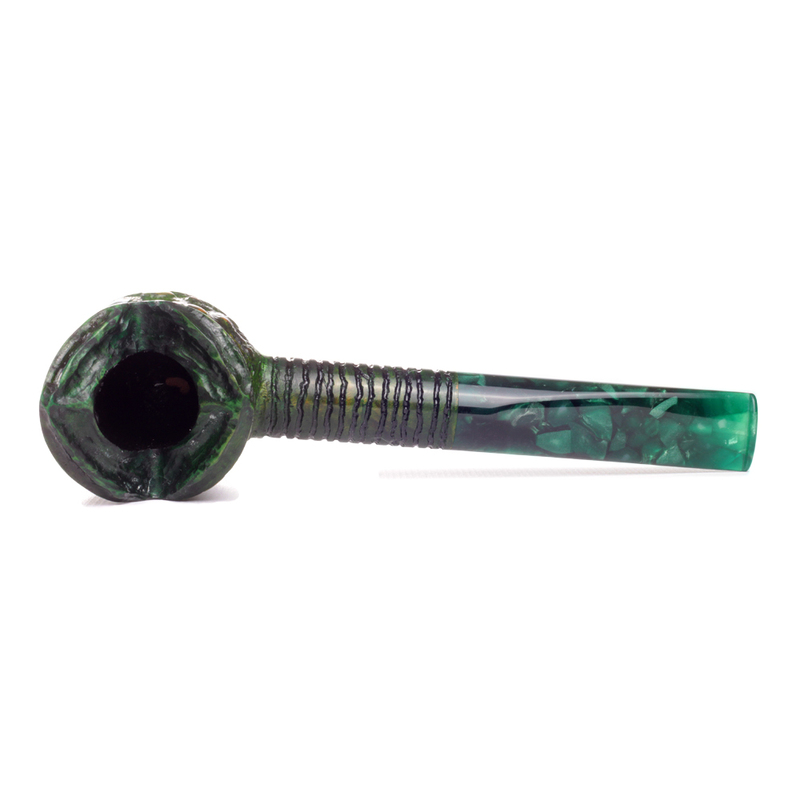 The pipe exhibits a pronounced asymmetrical curve to the rim of the bowl and scarring evocative of seaweed, or tendrils, that drift hauntingly in sunken depths. 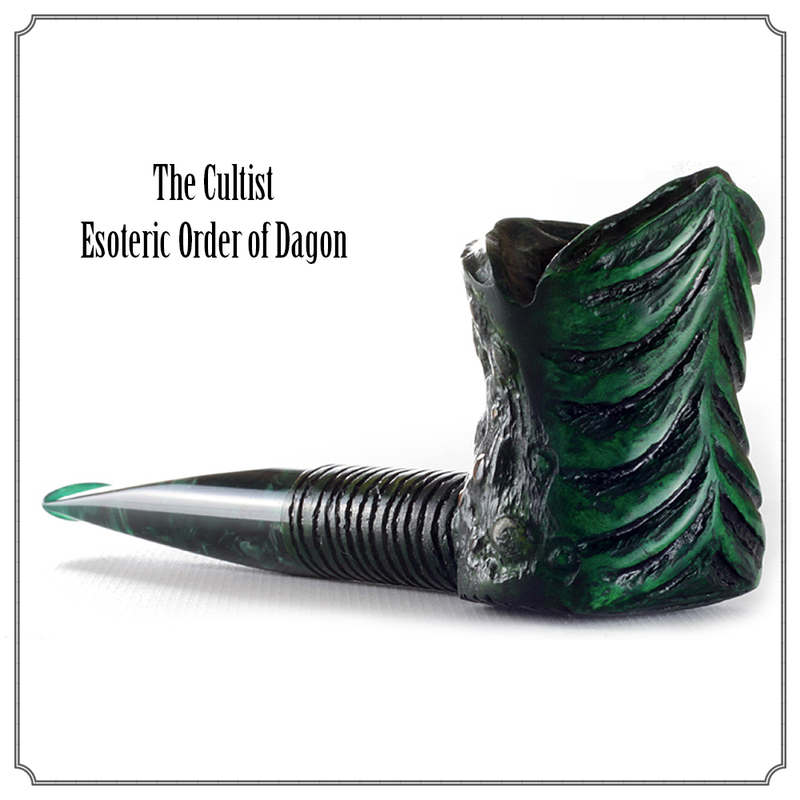 Come brother, come sister, your dead gods dream and grow restless.